The moment Matthew saw Amy- tired yet elated from traveling from New York by plane, train, and automobile to Pearson Airport in Toronto so she could surprise Matthew with a handmade sign saying, All I want for Christmas is You- he knew she was the one; they were all each other ever wanted. So on a warm August day, Amy and Matthew told one another in an intimate ceremony surrounded by love and warm wishes that all they wanted was to say I do, once and for all. 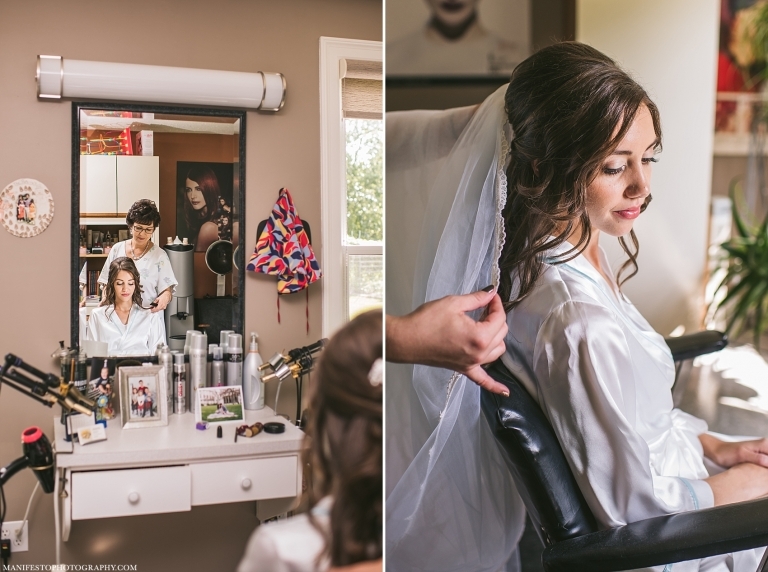 Amy’s morning started off with her and her best bridesmaids getting ready for the events of the day. 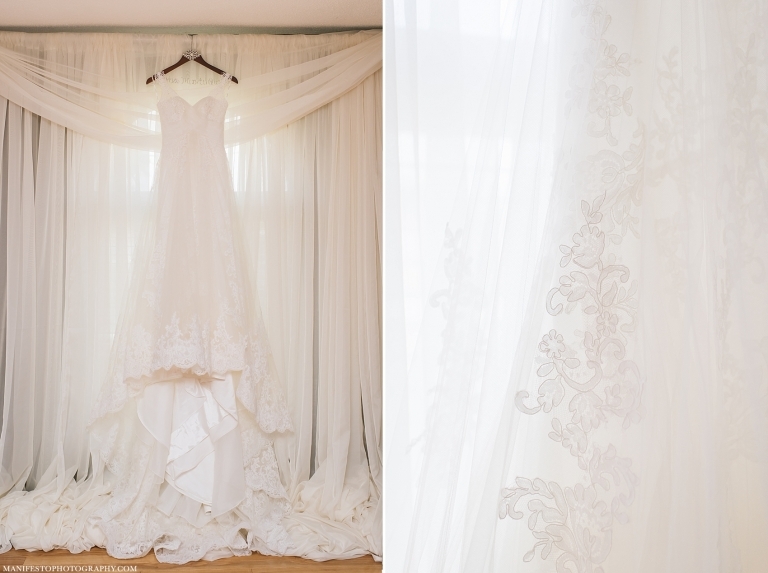 Amy wore an elegant gown designed by Pronovias Barcelona, adorned with soft lace from top to bottom and a delicate veil; she pulled her outfit together with some classic Manolo Blahnik heels. Her bridesmaids each wore soft blush gowns from Here Comes The Bride. Matthew and his guys began their day with some cold brews before getting dressed in sharp suits from Freeds. Matthew wore a dark navy suit created by Bosco Uomo, his look pulled together with a cream tie and dress shoes by ECCO. 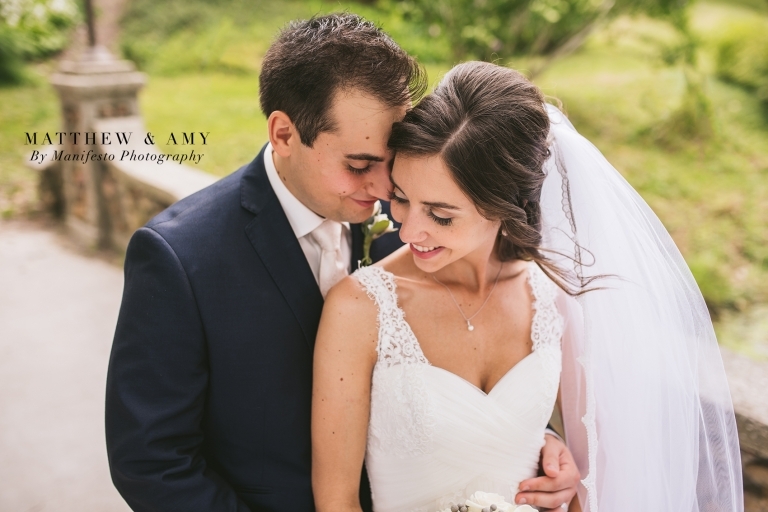 The day was full of fun and celebration as Amy and Matthew’s wedding day continued from St. Joseph’s Church in Leamington to the reception at Mastronardi Estate Winery. Beautiful floral arrangements by The Flower Shop at Theissen’s adorned the room and muted pastels colours accented with gold details served as the perfect, romantic, backdrop to continue their festivities. The evening contained delicious food, heartfelt speeches, lots of dancing and most importantly, a lot of happiness bursting from Amy and Matthew! Amy and Matthew, congratulations on your wedding day! We are incredible grateful that you chose us was your engagement and wedding photography. We know your attention to detail, and being hand picked by you has meant a lot! We wish you both health, happiness and many, many, more adventures in the days ahead! Bridesmaids’ Dress Shop:Here Comes The Bride!